Balcony railing by more attention, more and more consumers are using the new outdoor balcony railings to decorate their own outdoor space. 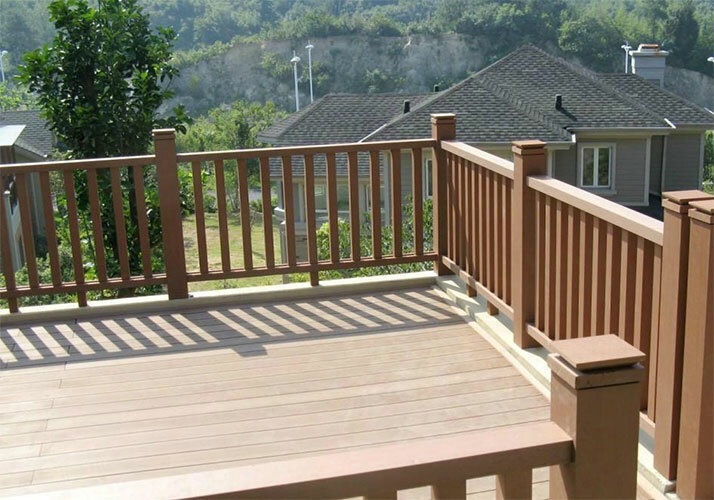 The use of wood-plastic balcony railings is a very good design, the owners enjoy the wonderful outdoor time, but also fully meet their style. Essentially, building a wood-plastic balcony rail is not as complex as you might think. You can do it yourself. Start by designing your balcony railings. You can design different schemes on your balcony. Once you have completed the basic layout of the railings and decided how much material you need, we can produce accurate materials with the dimensions you give us. Our project team can help you decide what solutions are right for you. This will make ordering the panel easier and create more visual symmetry, allowing the installation process to reduce the annoyance. If you have this idea, do not hesitate to contact our team. We will be happy to lead you through the process to help you complete your outdoor balcony decoration.